One of the biggest understandings that we humans tackle with the most in our lives, is the issue of trust. Placing our confidence in a person with the faith they won’t betray our trust, is a credence we perhaps take for granted. How many times in your life has someone been disloyal to you, do you yourself remember times when you leaked out someone else’s secrets? Lessons in respect to trust are many and they are often painful ones indeed. Human nature, the blame of our Ego, makes excuses for our revealing voice, the blabbing and spilling of another persons sacred stories. Our Ego justifies our actions and somehow we end up believing our betrayal, is in fact other persons fault. Twisted lies, unhealthy, biased and deviant deception, all because we live so unconsciously in our mind, there is no trust that can be built on this kind of forgery. As humans there is an instinctual need to hold a feeling of trust in someone other than our Self, maybe because it takes away a sense of loneliness, if there is another Soul to confide in, when necessary. 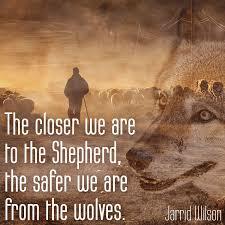 Sheep need a Shepard, so they can graze and roam with ease with no fear of getting lost, harmed or hurt. We humans need a Shepard as well, whether it be a Mentor, a best friend, or a family member, someone that holds your Spirit in high regard, a person who will honour your Soul as they would their own. Give thanks to the one(s) where you can put your trust, for they are a special gift to help you along your way. If someone has placed their trust in you, there is no room for your Ego here, believe only that your soul has a reliability to the one who has invested their faith in you.